So here are the challenges I face when I’m taking the kids somewhere. I’m guessing some of them may apply to you as well? I’m cheap. I’m a cheapskate. Actually, I don’t know anyone with kids who doesn’t want to save a dollar. Those sweet little buggers are expensive. I’m picky. I like our outings to have some kind of purpose. They need to be entertaining or educational or to allow for some exercise or SOMETHING. They need to be manageable with small children. There need to be bathrooms. Whatever we do there has to last a while to make it worth the trip. That kind of thing, you know? I have four kids. So every admission fee or extra charge of any kind gets multiplied by five for all of us. And we know from Point #1 that this makes me cringe. So. What’s a mama to do? Find the free stuff, man. Find. All. The. Free. Things. 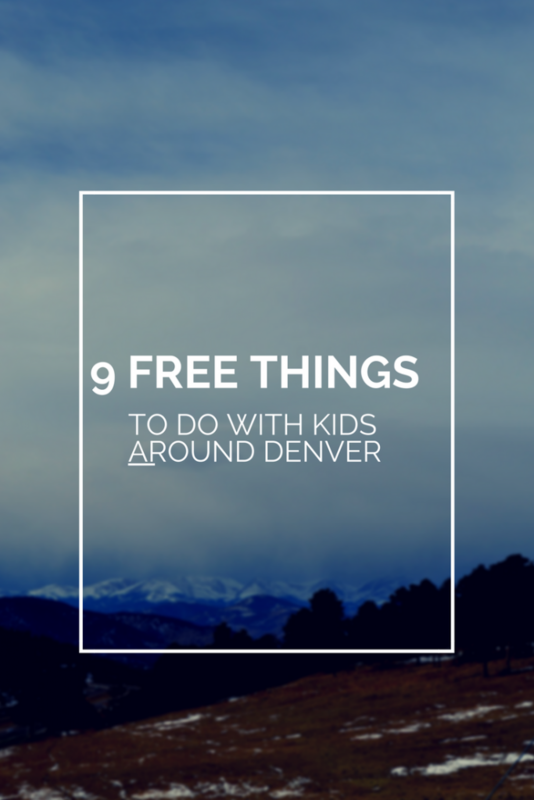 The following is a list of nine awesome free things to do in Denver (or nearby). We have personally done all of them except the Celestial Seasonings tour, but that comes highly recommended by friends and it’s on our list. If you’ve been, I’d love your feedback on it! I’ve never seen such a fancy park Visitor’s Center, I swear. Everything is all pretty and polished and woodsy. Even the light fixtures are amazing. But the best part is that inside are dioramas featuring deer, mountain lions, birds, voles, and other small creatures. There’s an indoor observation area with glass walls and binoculars to look out. And there’s a smaller room just for kids with a reading nook and plenty of books to curl up with. There are magnifying glass stations and antlers and fur and other things to check out close up. If the weather is nice, there’s a 1/2-mile Forest Loop trail that even the littlest walkers can manage, with benches and places to sit along the way. If you lead any kind of children’s group, rangers are often available for talks. We took our Girl Scout troop there for one on the eco-friendly design of the building and they did an excellent job. They also frequently offer planned talks and workshops for guests. A little gem of a museum, focused on…well, the town of Littleton. Inside you’ll find pictures and displays showing the history of the area, along with a children’s area where they can make a mock-up of a newspaper, dress up in period costumes, and investigate other things from the past. If the weather is nice, make sure to spend plenty of time outside at the 1860’s and 1890’s farms and the blacksmith shop. The farms are home to cows, mules, chickens, and other farm animals. And there are several blacksmiths who volunteer their time at the shop, so you may catch one at work while you’re there. The gift shop has some wonderful, educational toys and books and is worth a stop on your way out. Also, while you can’t bring food or drinks into the museum or farm, you can picnic either out front or at the park next to the museum. 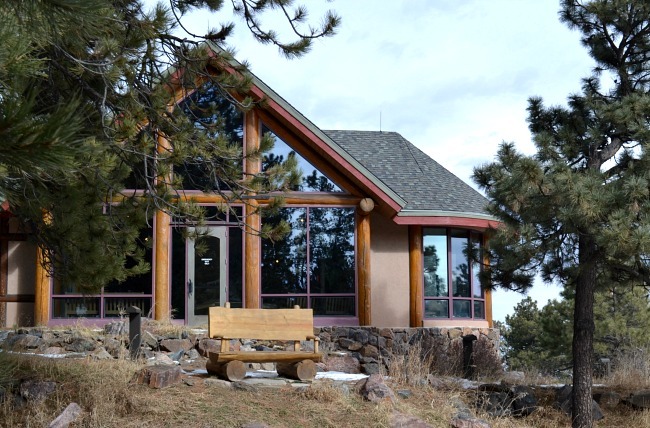 Tucked behind Aspen Grove in Littleton, the Carson Nature Center has live animals and dioramas to teach them about the local ecosystem. Also spend some time exploring the water table, making dams and floods and exploring how water moves. If the weather is good, also wander the trail a bit and look at the river and the animals who live around there. The Denver Zoo has a few free days this year. We like visiting in winter to see which animals are having a blast outside (the arctic fox and the polar bear are favorites!) 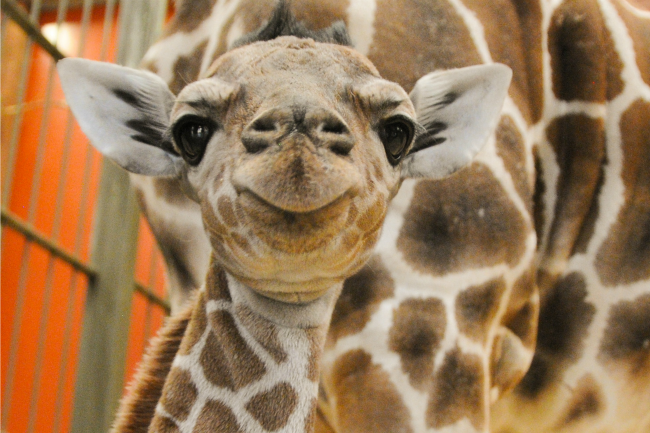 and which prefer to stay warm indoors (my husband still can’t get over The Giraffe House). Free days can get crowded, so be sure to arrive early and be ready to walk if you need to park at nearby City Park instead. Another institution that offers several free days throughout the year. The Discovery Zone is a wonderful area for younger kids – especially preschoolers, though there are things for older and younger children to do. Excavate fossils, explore the water features, do an art project – you could spend your entire trip to the museum in this one area! But kids will also enjoy the Space Odyssey area, the “mine” they wander through in the gems & minerals area, and the dinosaurs in the Prehistoric Journey exhibit. We’ve been known to skip a day of school to hit the museum on a free day (hey, the kids are learning stuff!). Admission to the Denver Art Museum is free for anyone under 18 every day. It’s free for adults the first Saturday of every month (this doesn’t include special ticketed exhibitions). Kids will like A Walk in the Woods (in the Hamilton Building, level 3), where they can do animal-themed activities that celebrate the Stampede exhibition. Also, be sure to look for Gallery Games near various exhibits where kids can learn about artwork by playing I Spy, Bingo, and other games. finally wear out. 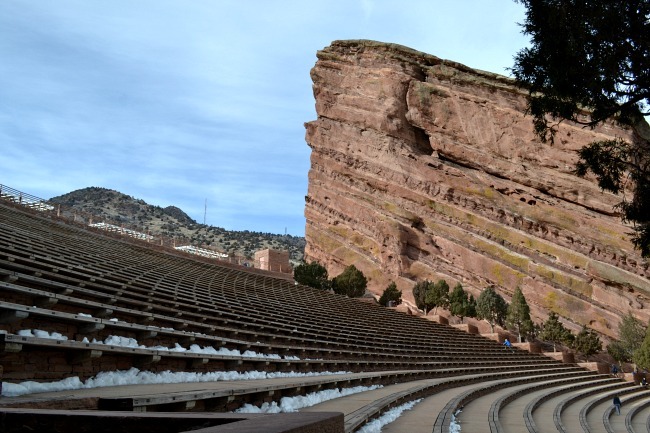 There are some great hiking trails as well – if you stop at the Trading Post, visit the Colorado Music Hall of Fame inside, and then take The Trading Post Trail on a 1.4 mile loop through the rocks and formations at the park. The trail can be a little steep in parts so plan on plenty of rests for kids and bring plenty of water! At the end, cool off by heading to the top of the park and check out the Visitor’s Center and Performer Hall of Fame, which also has some exhibits on dinosaurs and other fossils. 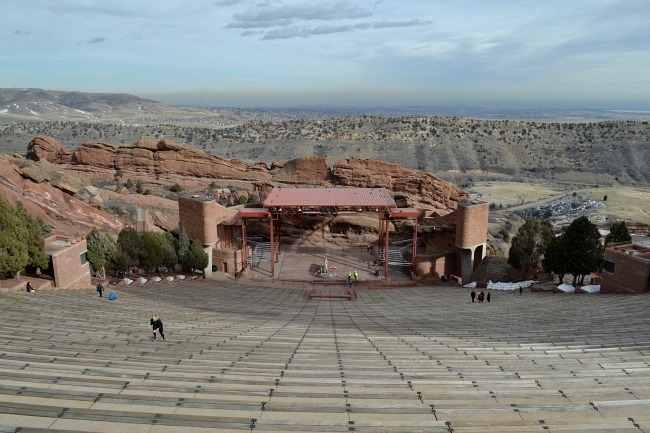 Non-Event Days: open one hour before sunrise to one hour after sunset; Event Days: open one hour before sunrise to 2p; in case of all-day festivals or early concert start times, the amphitheater may close earlier. Take a free tea tour at the Celestial Seasonings headquarters in Boulder. During the 45-minute tour, you’ll get a behind-the-scenes look how tea is made – from raw ingredients to finished products, and see the Mint Room, Tea Shop and Celestial Café. NOTE: the factory portion of the tour is only for children 5 and older, though younger kids are able to visit the Tour Center. You can also nab a free sample and visit the art gallery on-site. There is a cafe with food for purchase, and you can buy souvenirs at the Tea Shop as well. Learn how candy canes, lollipops, and other Hammond’s candies have been made since 1920 (and still are!). Large video screens help everyone get a better view of how the candy is twisted, shaped, and packaged, and kids will learn tidbits about the candy as well. And…AND…everyone gets a free treat at the end! 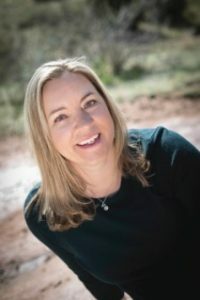 Do you have a favorite free place near Denver? I’d love to hear it!